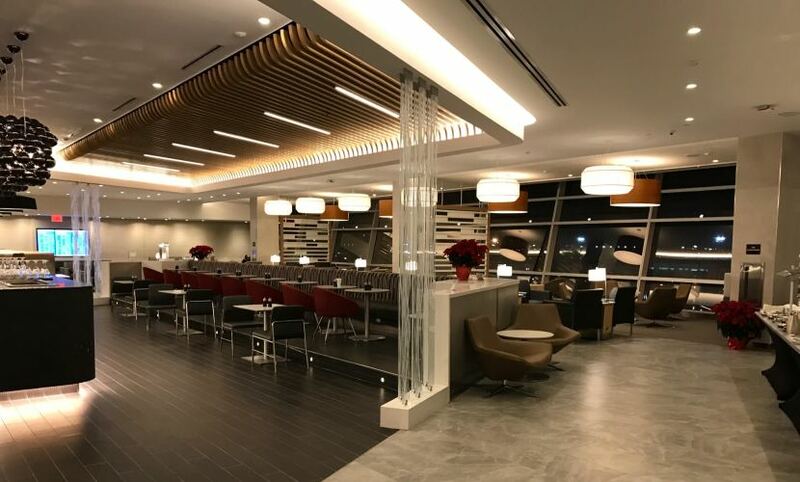 Update: This lounge was re-opened in May 2017 as the Flagship Lounge, with better service, food and drink options. However, the overall look of the lounge is the same as photographed below. 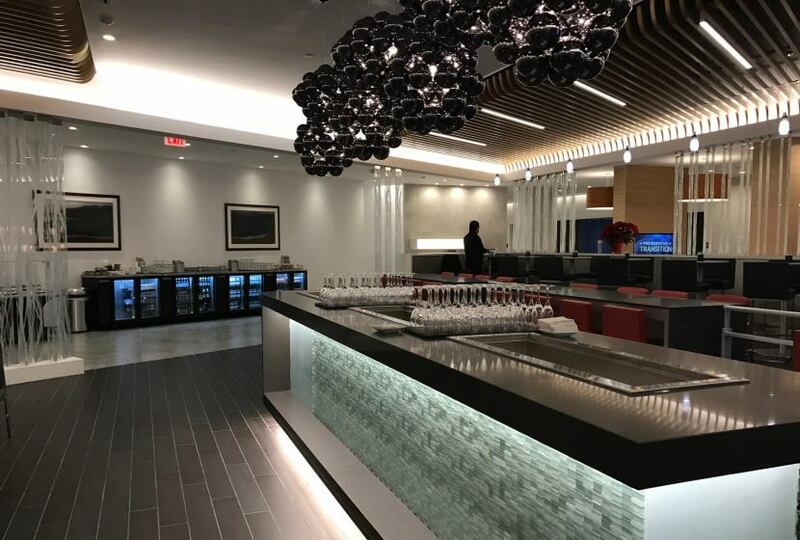 American Airlines’ newest lounge is now open in New York’s JFK airport, and it looks like a big improvement. 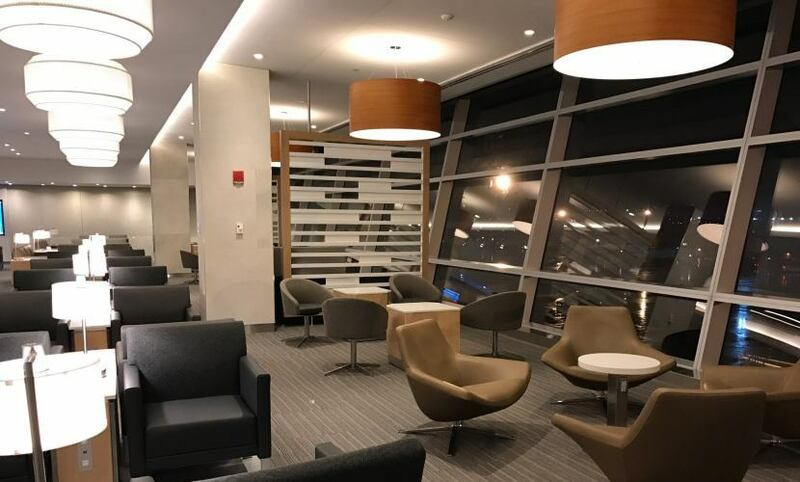 The newly remodeled and renamed International First Class Lounge opened its doors last week in Terminal 8, and TPG reader David C. stopped by this week and provided us with the photos you see below. Naming and branding issues aside, these new top-tier lounges look pretty nice, with elegant seating and finishes throughout. For those looking for a peaceful place to work, there’s a Quiet Room behind seemingly tinted glass. The Quiet Room off the main lounge area should be a good spot to rest and relax. 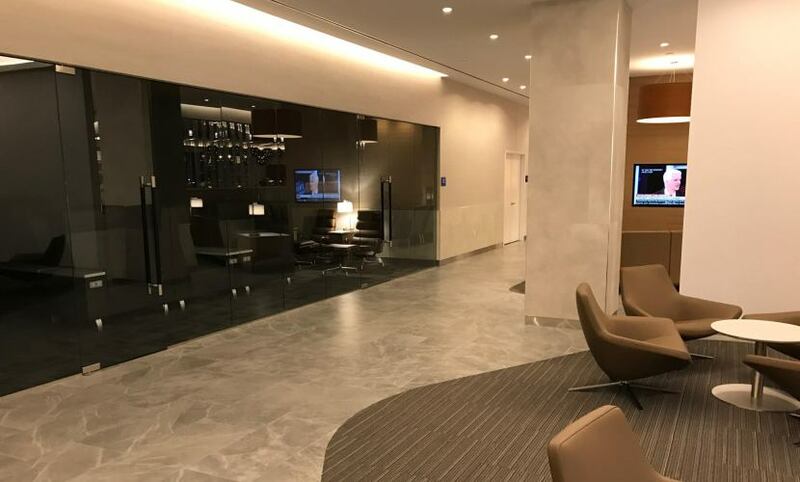 Main room of the International First Class Lounge JFK. The dining area has no shortage of seating. The main room’s window seats have a nice view overlooking the gates and the other T8 concourse. The main room overlooks Terminal 8 gates. If you need a place to sit down and work, there are individual workstations, some of which include a desktop. 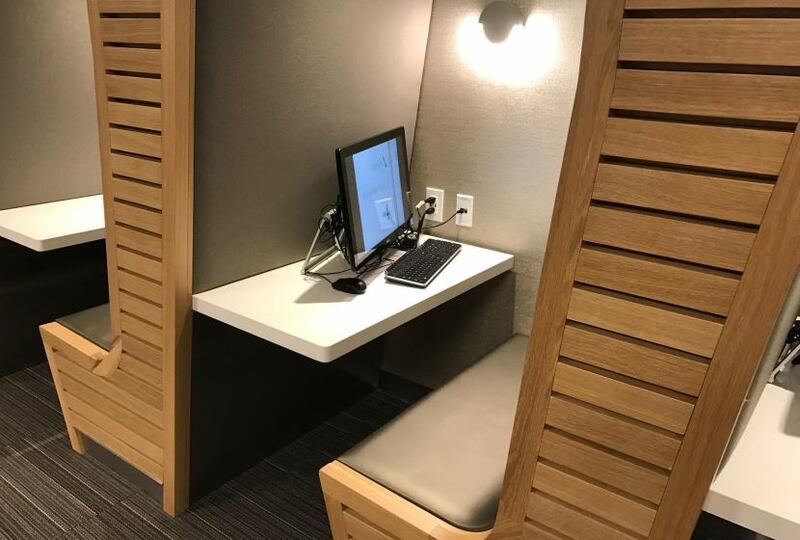 Compared to the workstations in other Admirals Clubs, these are disappointingly small. Unfortunately, the work stations look to be on the small side. The internet was impressively quick when David C. visited the lounge, although there were only a handful of other guests on site. Internet speed test in the International First Class Lounge JFK. 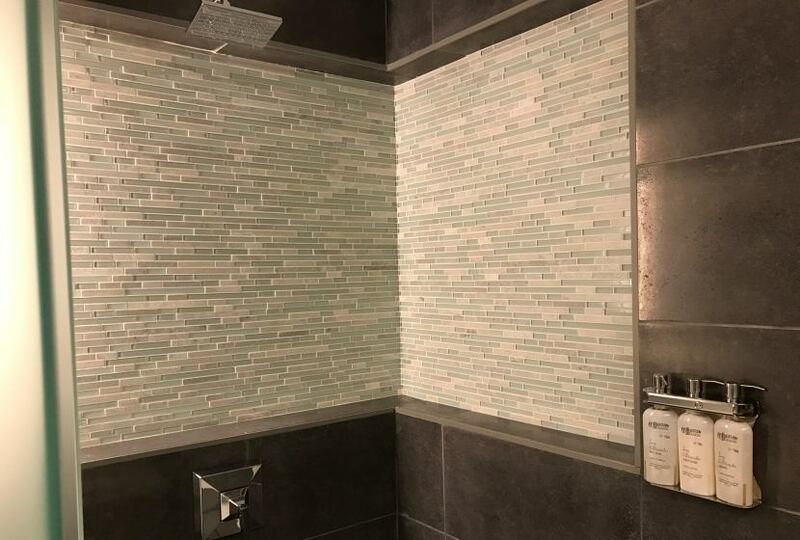 If you want to freshen up before an international or transcontinental flight, you can utilize one of the lounge’s shower rooms. While American might swap out the soaps before reopening the lounge as a Flagship Lounge, the finishes already look pretty sharp. There are four to five shower rooms at the new lounge. 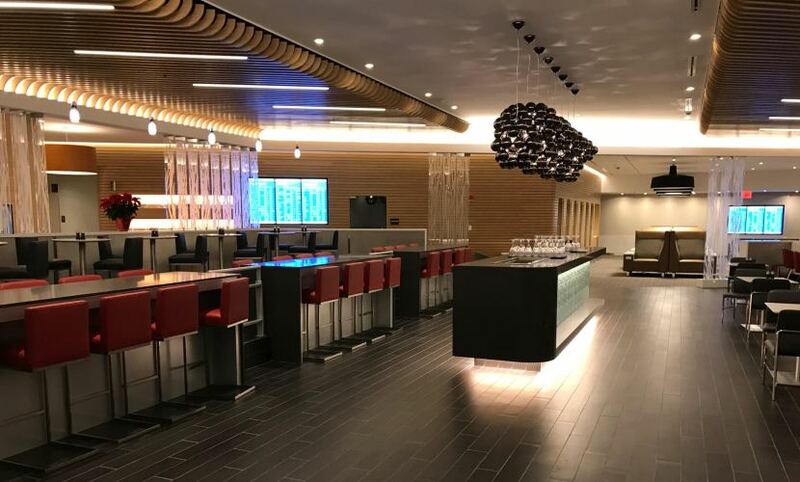 The new International First Class Lounge in JFK looks like a big improvement, and it’s a great sign of what’s to come from American Airlines’ other upcoming clubs. It’ll be interesting to see how this space is further enhanced between now and the spring 2017 opening date of the new JFK Flagship Lounge. A huge thanks to David C. for the great shots of the new lounge.